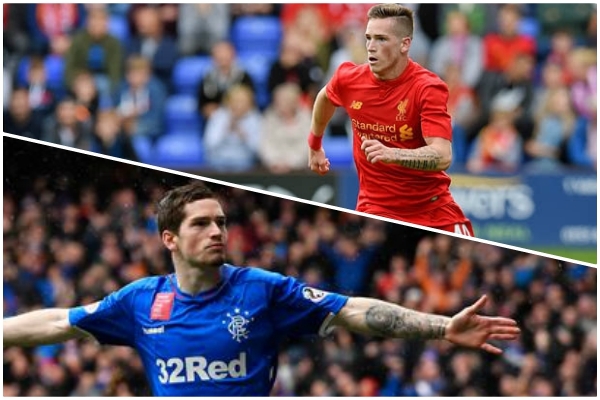 Rangers have confirmed that they want to sign Ryan Kent on a permanent deal this summer – and the winger has previously stated his desire to remain at the Ibrox. The Liverpool Echo reported that Gers’ managing director Stewart Robertson confirmed the club’s intent in a Q&A session at the ORSA convention in New Zealand. Liverpool fans have been gushing on social media over performances shown by Kent and fellow loanee Harry Wilson throughout the season. Kent is enjoying life in Scotland – managing to score five goals and notch up eight assists in 33 appearances under Liverpool legend Steven Gerrard. The winger is quoted by the Daily Record saying: “[Staying at Rangers] is something I’d consider. Definitely. The fans are amazing here. The 22-year-old joined Liverpool 15 years ago and progressed through the club’s academy – going on to make on appearance for the senior side in 2016 against Exeter City in the FA Cup. With varying success Kent has been loaned out to Coventry City, Barnsley, SC Freiburg and Bristol City in the past but he’s seemingly hit his stride in Scotland with Rangers. Gerrard being the manager of Rangers certainly won’t hurt the club’s chances of convincing Liverpool to part ways with the Englishman – he’d join former Reds Jordan Rossiter and Jon Flanagan on a permanent basis.